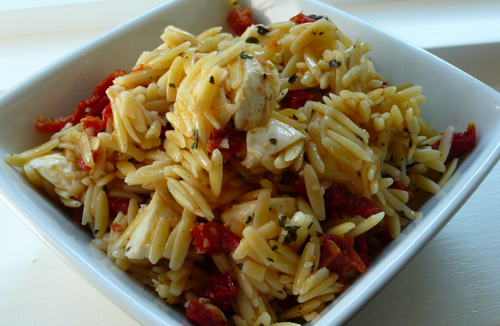 Cook the orzo to package directions, drain and rinse with cool water, drain again. In a large bowl whisk the dressing together, add in the tomatoes (with any oil) and the mozzarella. Toss with the pasta and let chill for a couple of hours.